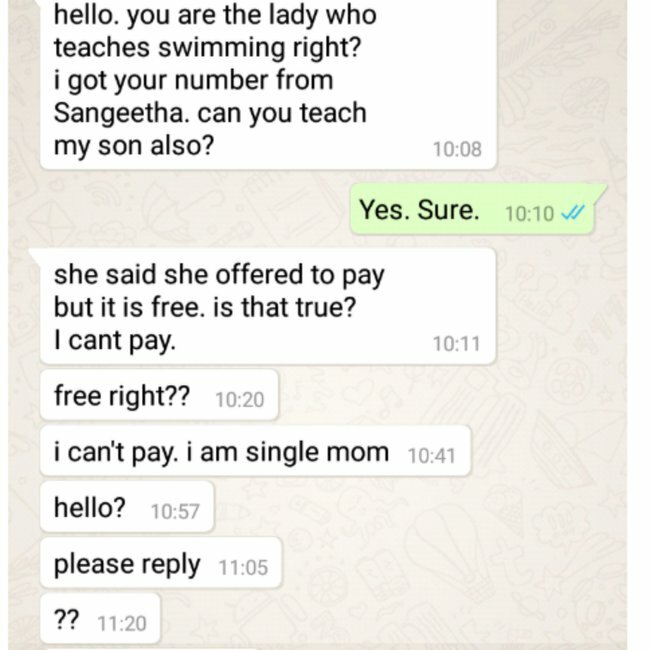 Mum finds out about free local swimming lessons. Sends a series of bizarrely rude messages. 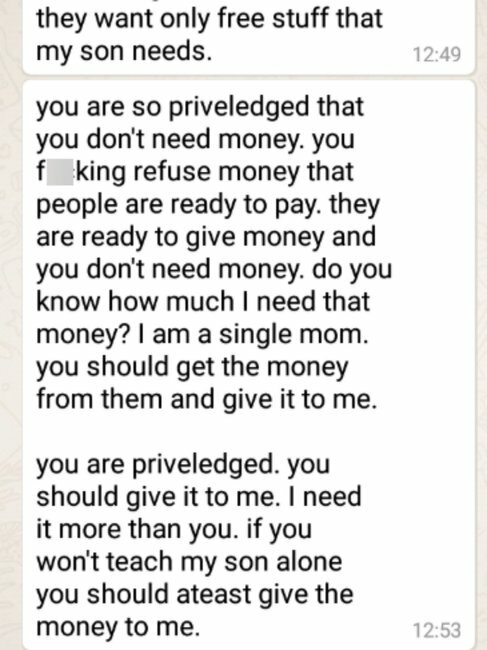 A woman who offers free swimming lessons to kids has shared the barrage of absurdly rude texts she received from a mum in the building. 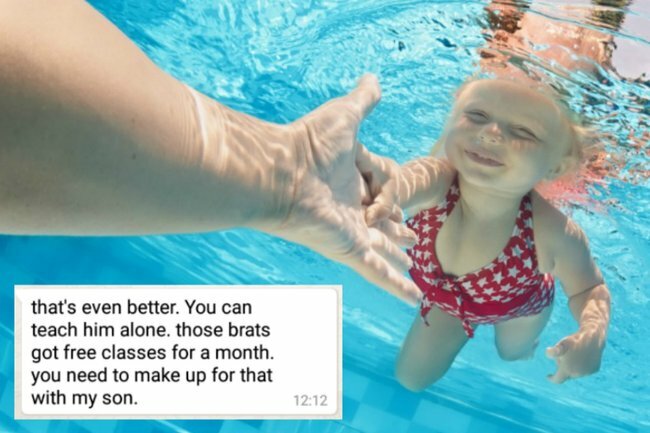 The conversation between the unnamed mum and the swimming instructor, which she posted to Reddit, starts out politely enough, but quickly turns nasty. 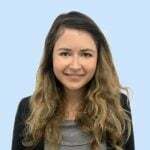 The teacher isn’t a qualified swimming instructor but simply offers free lessons to the kids in her apartment complex as a kind deed – which she’s probably regretting right now. The mum begins by asking about the free lessons, and if her son can join the class, one of which was scheduled for that afternoon. After the instructor replies “yes”, the mum sends seven texts in the span of an hour and a half asking why she’s not replying. When the teacher explains she can&apos;t always respond right away because she&apos;s at work, the mum ironically shoots back: "wow. that&apos;s rude." But when the instructor explains that unfortunately the evening&apos;s class is cancelled but that there will probably be another class in three days from 3pm to 5pm, things quickly go from uncomfortable to bunny-boiler bizarre. "Can you come at 1pm today and teach him?" the mum&apos;s demands. And five minutes later when her text is unanswered, "Can you reply faster?" When the woman explains she can&apos;t because she is at work the mum&apos;s response is to threaten her with upsetting her son. "That&apos;s not fair. I already told him he can go swimming today... he&apos;s gonna cry." 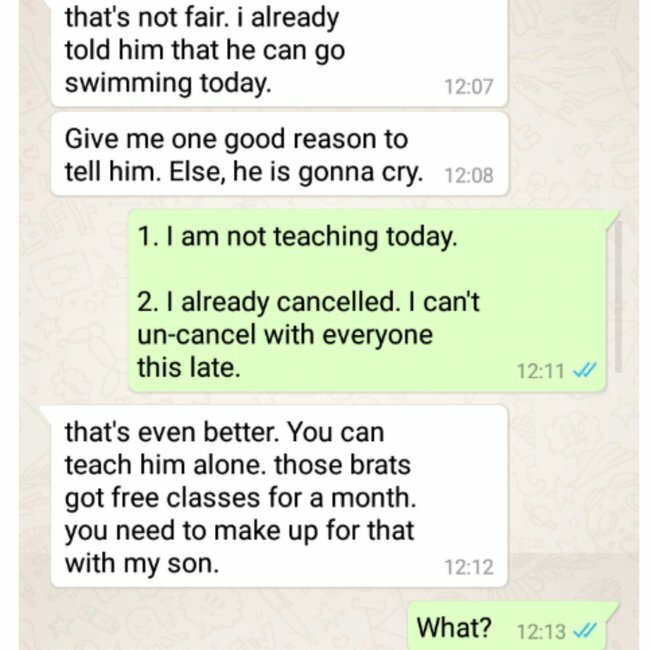 When the teacher explains she won&apos;t teach her son and it would be difficult to un-cancel the class because she already told the other children&apos;s parents it wasn&apos;t going ahead, the mum suggests she teach her son solo because "those brats got free classes for a month", adding "you need to make up for that with my son". 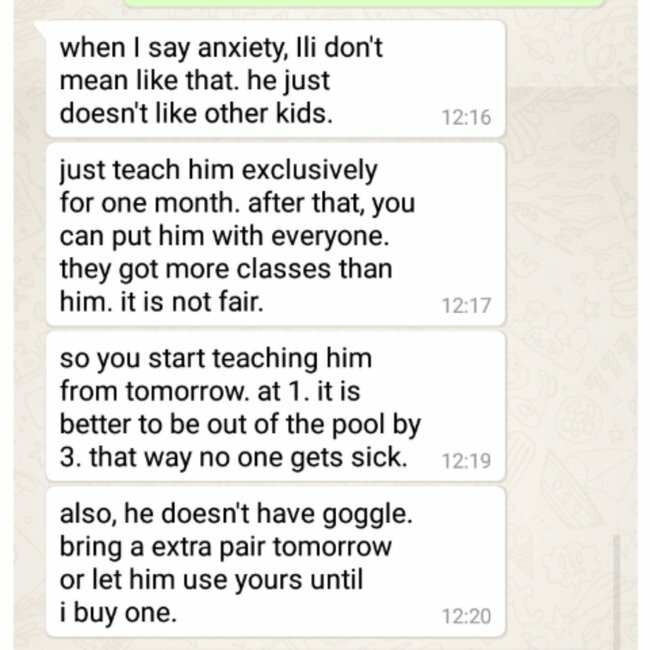 The mum next demands a class tomorrow at 1pm and that he be allowed to use her goggles and calls the teacher a "selfish b**ch" refusing. And then, well, the teacher stops replying after this: "I will throw him in the pool at tomorrow at 1pm. If something happens to him you are responsible." "Whatever. you are probably a lousy teacher," she sends three minutes later. "You are such a nasty horrible person. My son doesn&apos;t deserve this." She also demands the woman give her the money that the students don&apos;t pay for classes, which yes, makes no sense. And the unanswered onslaught continues until in the last text the teacher has shared she tells her: "reply me. I can see that you read the message. b**ch". Have you ever regretted a good deed?